Pat’s love for design and construction came at an early age when he built a 6 story tree house at the age of 10 behinds his parents’ home in the Poconos. He gained valuable field experience working for his uncle’s Construction/HVAC business during summers while attending the University of Scranton. He first earned a bachelor’s degree in Exercise Science but afterward decided he wanted to return to the construction world. He enrolled at Drexel University, where he earned a Bachelor of Architecture degree. Pat is now a licensed Architect with current licenses held in many states. 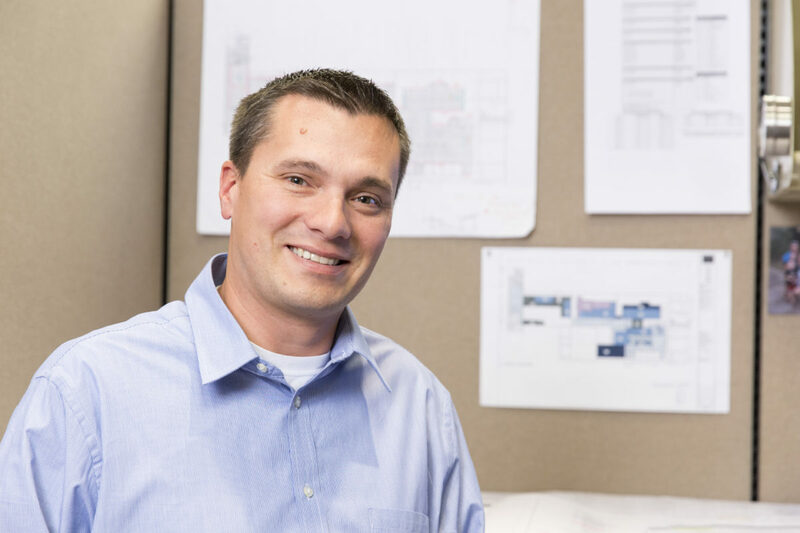 Pat has since worked in the design and construction industry for over 15 years, 12 of which have been in the development of cGMP manufacturing facilities and operations. When Pat is not working, his 4 kids help keep him and his wife busy. He is very active in the community and sits on the Board of Directors for his local recreation association as well as is a member of his church’s Joint Council, helping out on the facilities aspect. He also coaches many of his kids’ sports teams. In his free time, he loves spending time at the beach with his family, taking his kids fishing, or attending Philadelphia sporting events. Go birds!